I've been a fan of Carol Marine for a while now. What I noticed about her paintings is that they contain a strong geometric element to them. I decided to try out a painting with more geometry and a more top down view, and this is what I came up with. 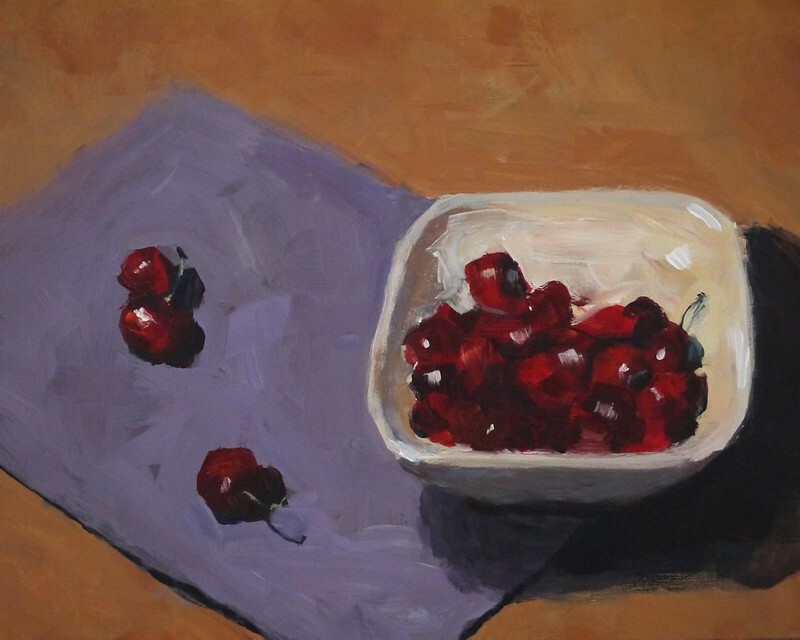 When I painted this, was just a tad too early for cherries around here, actually. These cherries ar﻿e imported from California. Hi Roy, it was nice to see your comment on my blog. I see you have taken the "next step".....putting your work out to bid. I hope you do well. Thanks, Phyllis! I am not expecting too much from this experiment, but we'll see how it goes. Btw I am taking another workshop (with Jim Lamb) at WIFAS, so maybe I'll see you around in Langley. (c) Roy Tan. Picture Window theme. Powered by Blogger.